Choose bioregional seed for best resilience. Imagine yourself curled up on the couch while winter still dominates the outdoors, salivating over visions of future vegetable grandeur leaping from the pages. “This is my year,” you proclaim, as selections are circled and seeds are ordered. But how often have you purchased seeds, whether from a catalogue or seed rack, only to find their performance underwhelming? The gorgeous heirloom tomato that hardly produces, or a melon plant that might yield only a single small fruit can prove to be frustrating at best. What if I were to tell you that the underperforming garden might not be your fault? Chances are, it’s not a matter of fertility or technique, but simply the fact that the variety you chose would much rather be growing in another region of the country, or even the world, regardless of how you pamper it. Our country was once home to literally thousands upon thousands of local seed companies. Not only were these companies locally owned, but the seed they sold was locally produced. If seed wasn’t saved by the gardeners themselves, or acquired by family and neighbors, then chances were it came from a local seed company. Unfortunately, over the last several decades we have seen aggressive consolidation of seed companies. Nearly all of the once numerous local seed companies have disappeared. As a result, since 1903 we’ve lost approximately 93% of the varieties of vegetable crops we once enjoyed. Worldwide, genetic diversity of human food crops is in peril. 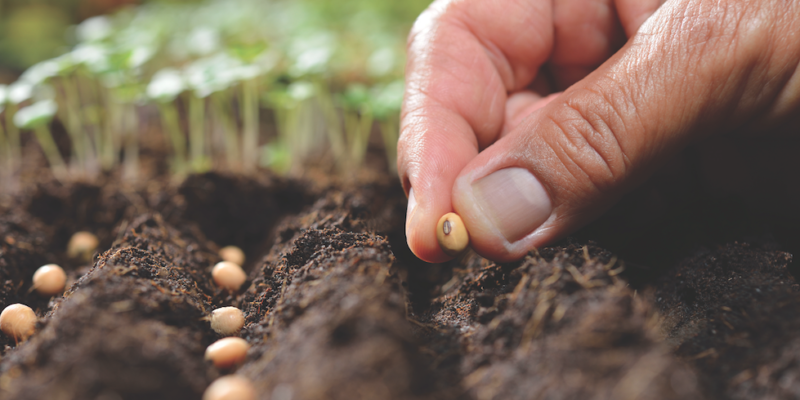 Most neighborly looking seed companies that remain, even organic ones, don’t actually produce or purchase any of their seed from local growers. They are more accurately packaging companies, who purchase cheap seed in bulk from far-off producers, and repackage and rebrand it as their own. As is often the case, seed is now produced with efficiency in mind. Kale is produced in the best areas of the country for growing kale, peppers are produced in the best areas of the country for growing peppers. Increasingly, seed is now coming from the best areas of the world for a variety. Plants have an incredible ability to respond and adapt. After roughly seven generations, annual vegetable plants will become acclimatized to the conditions where it is growing. The farm terraces in Peru were used to acclimatize new varieties of useful plants to grow at high altitudes. Each successive generation produced from parent seed was moved up several terraces, and as a result each generation became more and more resilient to the increasing altitude. What does this mean for you? Perhaps the greatest “hack” to having the most successful garden you’ve ever grown: Grow from locally produced seed, produced within your bioregion. These seeds are increasingly optimizing themselves for your climate. Have you ever noticed how the “volunteer” plants that pop up in your garden, seeded by previous generations (often unintentional! ), are often far and away the healthiest in the garden? Seed produced in another region of the country, or world, often ends up with plants that struggle in our brutal and chaotically shifting weather. For those of us in Utah, there are currently only two regional seed companies I’m aware of. Snake River Seed Cooperative produces 100% of the seeds they offer in our Great Basin bioregion, nearly all of which comes from farms in Utah and Southern Idaho. They have hundreds of varieties of vegetables, herbs and flowers available. The second company is Grand Prismatic, which produces their seed at their farm in Fruit Heights. (For those gardening in Park City, Alpine, or other high altitude areas, I suggest Penn and Cords Garden, based out of Colorado, which specializes in producing selections with a short “days to maturity” turnaround. This is a key strategy to obtaining a successful harvest with a short growing season. These companies offer exclusively non-GMO, open pollinated, patent-free, non-treated seed that is grown without agricultural petrochemicals. By supporting these companies, you not only gain the advantages of bioregionally produced seed, you also help to support a network of small local farmers working hard to grow in an ecologically friendly and socially ethical way while helping to protect and restore our vegetable heritage, which needs every ally it can cultivate. The Happiness Guru: Want To Be Happy?